The first crop of fighters have been announced for Cage Warriors’ return to Liverpool on February 16th, including local fan favourites Tim Barnett, Elliot Jenkins, Lawrence Fitzpatrick and Adam Ventre. Cage Warriors return to Liverpool on February 16th after a run of massive shows over the last 2 years to showcase the top fighting talent from the North West and across Europe. 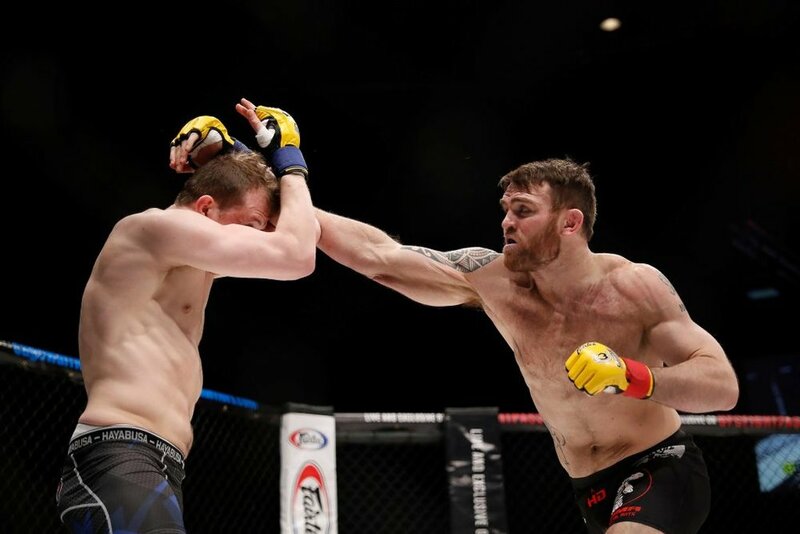 With a number of Liverpool fighters now in the UFC, including former Cage Warriors champions Chris Fishgold Molly McCann, the city’s fight scene is thriving and has never been stronger. Among the first names announced for CW101 is Adam Ventre, a young prospect fighting out of ‘Next Generation’ gym – home of McCann, Fishgold and Paddy Pimblett, another former CW champion. Ventre is fighting off the back of 3 consecutive wins at Cage Warriors Academy Liverpool events and promises his next fight is going to be a career highlight. Other Liverpool names on the bill include Tim Barnett, former welterweight title challenger Mick Stanton and exciting lightweight Lawrence Fitzpatrick, who has finished every one of his 6 pro wins in the first round. Elliot Jenkins – also with a 100% finish rate across his 5 victories – is looking to get back to winning ways after narrowly losing at CW96 in September 2018. From elsewhere in the North West is the incredibly tough Matthew Bonner and SBG’s Martin Stapleton, who will look for his 20th pro victory on February 16th. Jack Grant, who’s fast establishing himself as one of the lightweight division’s top contenders with 14 of his 15 wins coming via knockout or submission, will also walk out in Liverpool. Grant’s knockout at CW96 is one of our 2018 KO/TKO of the year contenders. With another, it could be time to call for the coveted lightweight belt. CW101 goes down at Liverpool’s Exhibition Centre on February 16th, with limited early bird tickets at 20% off HERE.